Have te noticed that the HP fan are harsh and rude at us Twilight fans, while we simply defend ourselves? 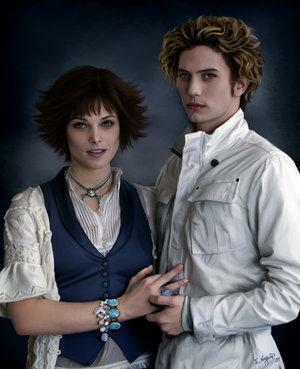 Do te think Alice & Jasper are the most devious, mischeivious and dangerous couple in the twilight series? I was lucky enough to be able to sit down with Jenni Frendswith, the autore of the new novel Stonecraft, now available on Amazon.com (Kindle version coming this week). Her book is a part of a web-hosting program at the homesite of autore Fletcher Rhoden (fletcherrhoden.com/links) where there is contact information and a discount code and link. In the interests of full disclosure, my own book visualizzazioni of a Progressive Christian is also on the site. Q: This is your first book, Jenni. What made te want to write, and why this story? "Jake, i'm not even dressed yet!" i yelled out the window. my mom was at work da now so no worries. "i got time." he detto and smiled. i smiled back and went to get ready for my first giorno at school. "uhh, no one got hurt. i'm happy, i geuss. we just talked and i don't think we'll be talking to the Cullens for a while, but i got you." he detto smiling the whole time. sry for the wait! i was just waiting for some feed back. i don't like Scrivere più chapters when i don't know if anyone liked my last one. hope te like this one. "edward why would te waste your time fighting off this mutt anyway?" asked blondie. "Now heavenly i don't know how nessie is gonna react to seeing te on my side." he warned me, i didn't care. "is that what te call her?.... nessie? well maybe we could be friends." "eww! didn't te just say they were both edward's siblings?" sorry, it took sooo long. i was buisy. hope te like it :)! "hi heavenly!" he detto almost as excited as me. "HEY SWEETY!" my mom detto super loud even though he was standing right there. "mom, i don't wanna live here." i pleaded to my mother who forced me to sposta with her to this god awful town of forks, washington. it's always raining here. it's depressing. just because her job got tranfered here doesn't mean she has to follow. she can get another job! "sure, sure. im goin' for a walk." i detto walking out the door. she detto something after that but i put in the head-phones to my i-pod before she could finish.